The workshop was organized by the Universitat de Girona and the Universitat Politècnica de Catalunya, and took place in Girona on October 9th -11th 2013. The main goal of the workshop was to show the latest investigations and exchange of information and points of view on current research in MARine TECHnology. 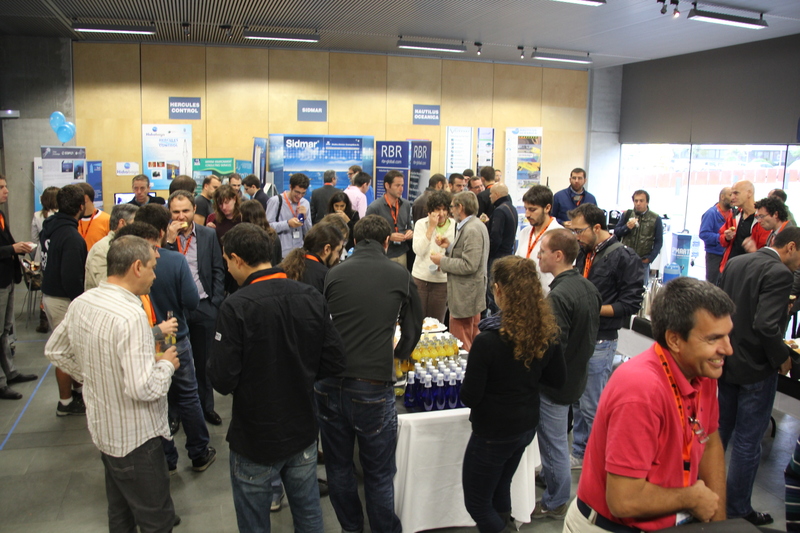 55 contributions were presented in the workshop, as extended abstracts, from 10 different topics. The attendance was around 80 people including researchers, students and professionals from industry, most of them from Spain, but also from Germany, UK, Italy, Ireland and Sweden. The technical program was completed with three invited researchers, which gave a tutorial and two plenary talks. The workshop had also an exhibition area with 9 companies showing marine technology products and services. One of the companies presented for the first time the Ictineu 3 submarine, a manned submersible for research, ocean observation and intervention developed for depths up to 1200 meters. More info.